1. Combine the soup stock, light soy sauce, sugar, and salt in a mixing bowl. Mix well to completely dissolve the sugar. 2. 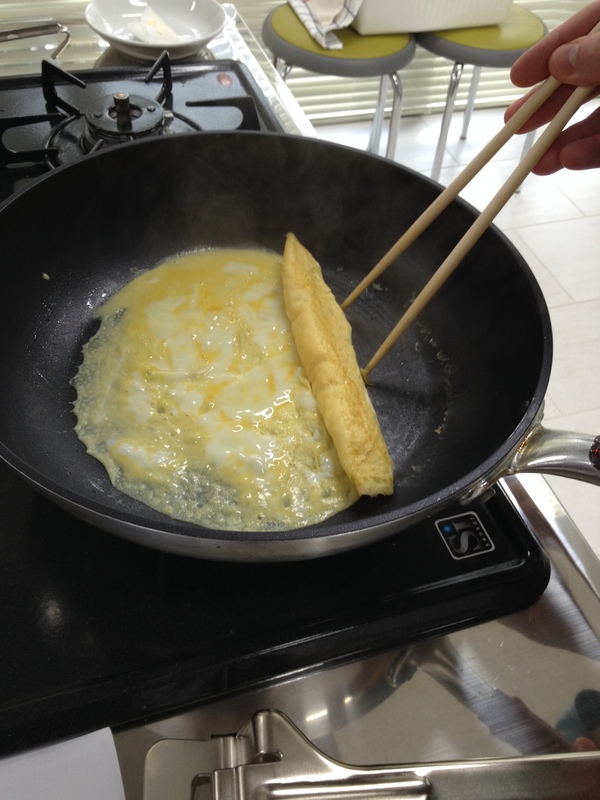 Crack the eggs into a separate bowl and use cooking chopsticks to beat them. 3. Place a frying pan on medium-to-high heat, add a bit of salad oil and coat the cooking surface evenly. Add 1/4 of the beaten eggs to the frying pan. 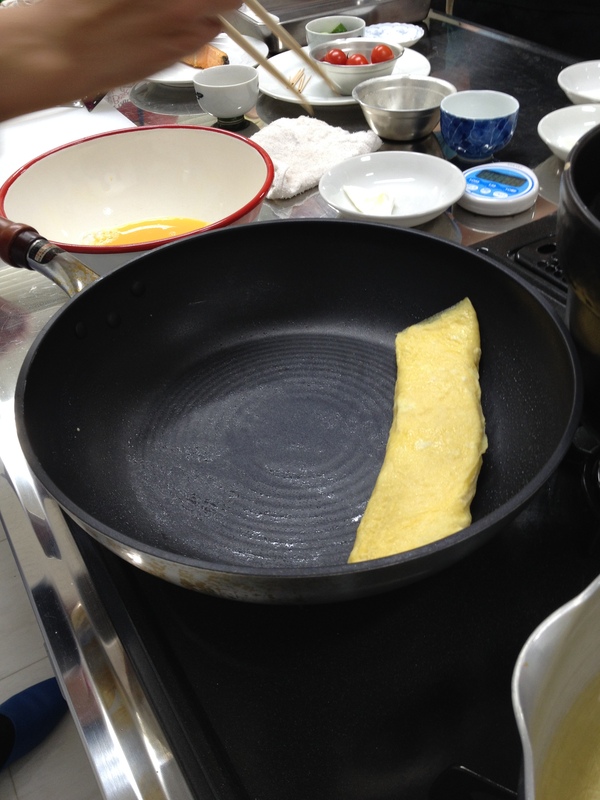 When they are cooked halfway, roll or bunch the eggs from the far side of the pan, toward you. 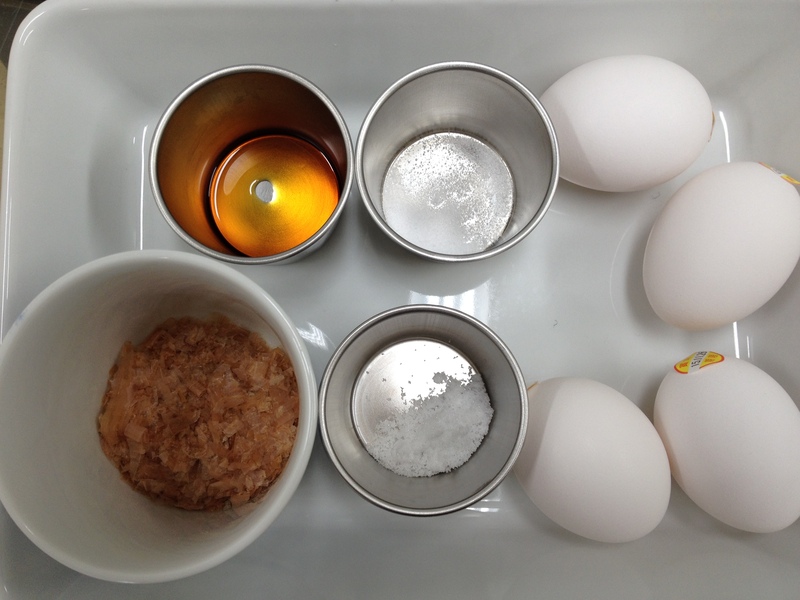 Now, push the rolled or bunched up eggs back toward the back of the pan. Spread a tiny bit of salad oil evenly over the cooking surface and then add another 1/4 of the beaten eggs to the pan. 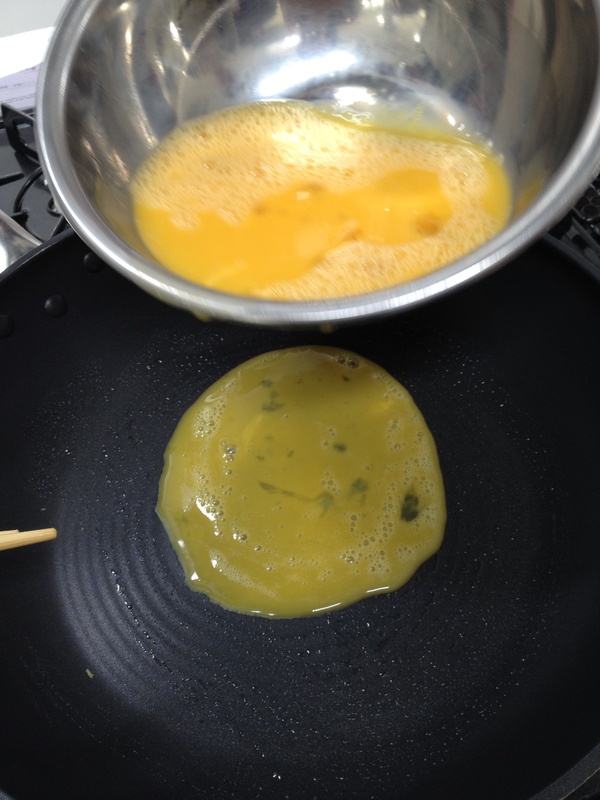 Lift the already cooked egg to let the egg liquid to get underneath. Allow the newly added egg to cook half way then roll the previously cooked egg over the newly added egg. Repeat two more times. 4. Place a piece of plastic wrap about the size of the frying pan on the counter. Transfer the cooked egg to the wrap and wrap it up. You can take this opportunity to even out the shape if necessary. Let the egg cool. Unwrap the egg, cut it into quarters, then cut each of the quarters in half.